Self-Promoter Creates Own Action Figure to Replace Traditional Business Card #3DThursday #3DPrinting #3DScanning « Adafruit Industries – Makers, hackers, artists, designers and engineers! 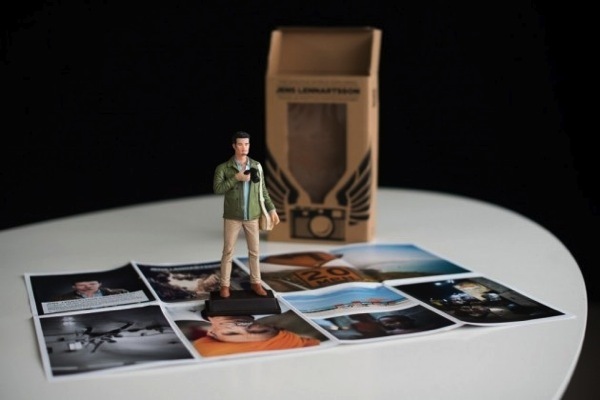 Swedish travel and lifestyle photographer Jens Lennartsson was feeling like he wanted to get a little more attention from potential agency clients, so rather than going the traditional route and creating ‘the mother of all business cards’, he omitted the card altogether and went straight for a friggin’ action figure: the GI Jens. 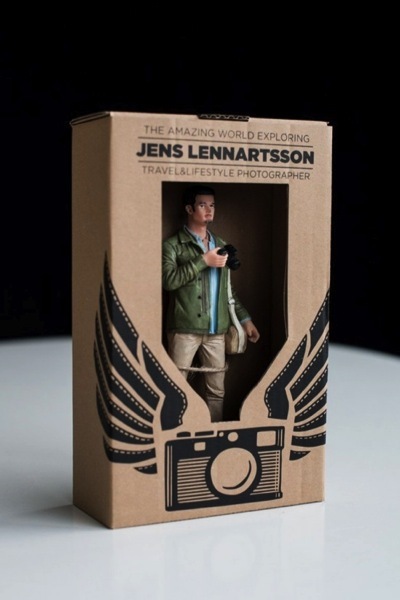 Packaged to look like a traditional action figure toy, the outer box appropriately describes Jens as “The Amazing World Exploring Travel and Lifestyle Photographer” and includes ‘features’ ranging from ‘really good camera’ to ‘loved by 9 out of 10 art directors’. Just to be safe, Jens also includes a more traditional portfolio within the box as a sort of ‘instruction booklet’ that highlights his various travel and industry work. …According to Jens, his reasonings for creating the action figure as a replacement to the traditional business card and portfolio route are because he wanted to provide something that people would keep on their desk, something that people would want to share with others, and present what his brand of photography is all about (raw and real with very little Photoshop). It’s hard to argue that anything other than a GI Jens action figure could have suited the bill more effectively.